February 5, 1921 – Formal action is taken on this date to obtain a state charter for the Chicago Zoological Society which plans to build a zoo and gardens on 300 acres of land that Mrs. Edith Rockefeller McCormick has donated to the forest preserve. The president of the county board and the head of the forest preserve commissioners, Peter Reinberg, who is also one of the incorporators of the society, writes, “Though only in its tentative stage, the prevalent idea is that the organization shall follow closely that which has brought the Art Institute of Chicago to its acknowledged high standard.” [Chicago Daily Tribune, February 6, 1921] Commissioners of the new society will include: Frank J. Wilson; William Hector MacLean; George A. Miller; Charles L. Hutchinson, president of the Art Institute of Chicago; Charles H. Wacker, chairman of the Chicago Plan Commission; and Judson F. Stone, manager of the McCormick family realty interests. 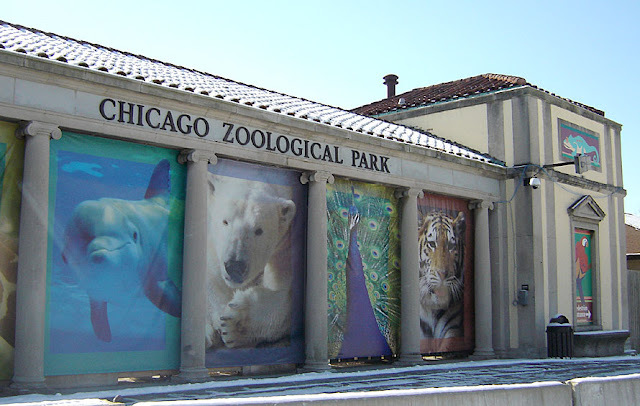 The location of the anticipated zoo is between Thirty-First Street and Thirty-Fifth Streets and is bordered by the Des Plaines River and Salt Creek. It is anticipated that Pershing Road will lead to the grounds and that the Chicago Plan Commission will “lend its aid toward beautifying the approach to the gardens.” The story explains why the street that runs past the south lot of Brookfield Zoo is Rockefeller Avenue. February 5, 1998 -- The Canadian National Railroad Co. announces that it is in negotiations to acquire the Illinois Central Railroad, the "Main Line of Mid-America," a railroad that began in 1849 when Senator Stephen Douglas secured a federal land grant for the start-up, the first such grant ever awarded to a railroad. Douglas was also instrumental in a deal that allowed the I. C. to purchase a 200-foot right of way through the South Side for $21, 310. Later, the line built a trestle in the lake opposite the center of the city that carried trains to a freight yard on the river. The fill that was over the years placed between that trestle and the edge of the city is now Grant Park. Mark Twain worked as a steamboat pilot on an Illinois Central boat that connected the railroad to the south. 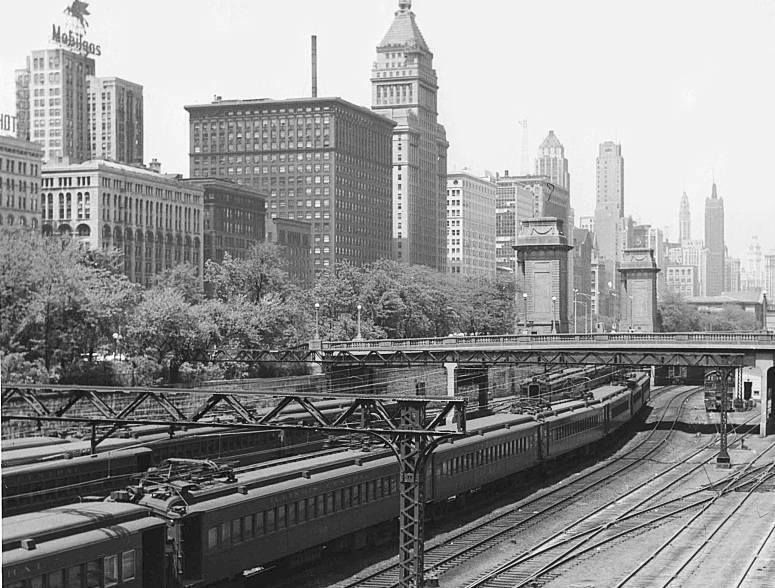 A young engineer named John Luther "Casey" Jones began his career operating trains that carried passengers form the Loop to the 1893 fair in Hyde Park. With Canadian National's announcement a love-hate relationship between Chicago and the Illinois Central that had lasted for close to 150 years was nearly at an end.